Logitech is firing on all cylinders with their C922 Pro Stream Webcam! A great entry for anybody who is currently streaming, or creating videos for Youtube. 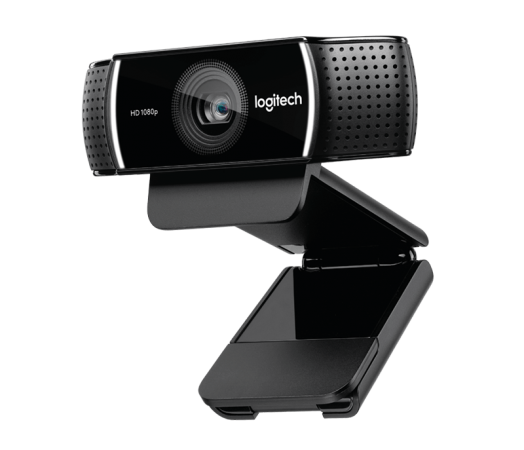 In an effort to give the people what they want, Logitech has created a beautiful webcam, the C922 Pro Stream Webcam. With the boom of content being uploaded to Youtube on a daily basis, you are going to run into a lot of competition. Whether you are uploading makeup tutorials and reviews, showing off your gnarly guitar riffs, and wanting to share with the world you clog collection you are going to need to step up your game. Sure, the camera on your iPhone is fine…for taking pictures. If you want to be taken seriously you need to step up your game and get the right hardware to suit your needs and that’s why Logitech has come out with the C922 Pro Stream Webcam. While the size of the C922 Pro Stream Webcam is slightly larger than its competitors, it is a quality build. 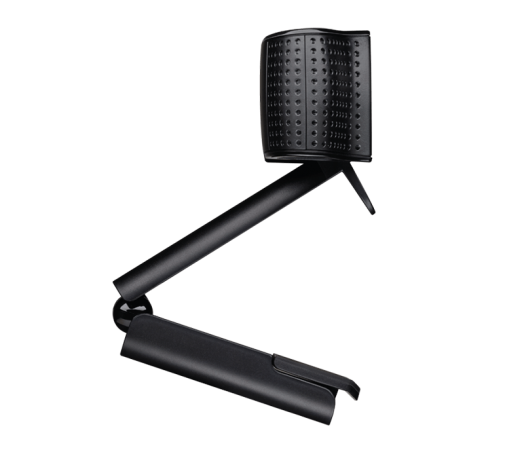 With the option to have it mounted on the top of your monitor, or with the use of the included tripod you will be able to get the best angle to truly shine. The included tripod is a quality addition, I’ve personally bought mobile tripods in the past and they’re usually of a weak construction with plastic bits that snap and break with ease. Not the one that comes with the Logitech C922 Pro Stream Webcam though. You’ll feel at ease knowing you can take it with you when you want to do a remote broadcast from one of your favorite venues. The Logitech C922 records and streams at your choice of 1080p at 30 fps (frames per second) or 720p at 60 fps. Personally, I found the 720p to be best for my recording and streaming needs. Moves smoothly, without any harsh lag. The 60 fps is also in tune with the framerate of most games that you may be streaming. Now, if you are doing tutorials you may find that the 1080p works better for you. It’s easy to toggle between the two using the downloadable software. The image is crisp and beautiful. The colors aren’t saturated as they can be with other cameras, but are vibrant as if you were looking directly through a window. Even is lower light situations (which you want to avoid) the camera outperformed many others I’ve used in the past. 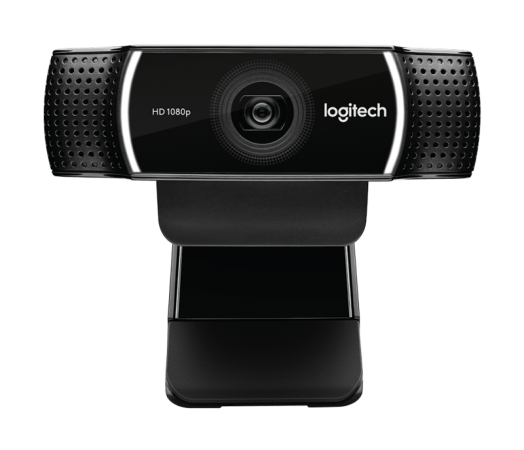 Logitech really hit a home run when it comes to the ease of use and features of the C922 Pro Stream Webcam. Once you’ve connected your C922 Pro Stream Webcam, you’ll be asked to download the Personify software which compliments the webcam by offering some real advanced options that you will not find with other webcams. The Personify software allows for you to toggle your framerate (like I mentioned before) but it also allows for you to replace your background. No longer is it necessary to get a green screen when you are going for that professional look on your stream, especially if you are a gamer using Twitch. I set up my C922 Pro Stream Webcam with Personify through OBS which is my go-to for streaming. It nicely cut the background out from behind me, giving me the option to either replace it with a provided image, my own image or eliminated altogether. I prefer to drop the background altogether, to keep my stream looking nice, simple and organized. Before if you wanted to do this you would need to invest in a green screen, have it hung and set up your recording software to recognize it and etc…etc…but not anymore! Now, it isn’t 100% perfect. You do need to have a clean background in order for the software to recognize what is you, and what is the background so make sure you clean your room! You can also fine tune the background to eliminate any specific color(s) that may be impeding your stream or recording. I record with a standalone microphone, but I did disable it to test out the speakers. Logitech has built in two stereo speakers which are Omni directions (they listen from all directions) and they were much better than I could have imagined. Previous cameras have one speaker, usually at the stop and incredibly small which makes you sound like you are broadcasting from a bathroom. Not the Logitech C922 Pro Stream Webcam. Clear sound, as it was intended. Will this replace the use of my microphone altogether? Probably not, I think I just look cooler with a mic in front of me. However, if you don’t want to invest in a $150 microphone, you don’t need to with the C922 Pro Stream Webcam. You will be happy with not only the quality of the video recording but the sound as well which is unique…trust me. Overall this is one of the top webcams I’ve had the pleasure of reviewing. As any streamer or Youtube contributor, the choice of a webcam is incredibly important as there are entirely too many options out there. Do yourself a favor, don’t waste your time or money, just order the Logitech C922 Pro Stream Webcam. You will be thanking me. Now let me answer the question on everybody’s mind, how much is this piece of superior technology? $500? No. $300? No. You can get the Logitech C922 Pro Stream Webcam for under $100! That’s right folks, this webcam will not break the bank, and you’ll love the content you create with it. Order it from Logitech by clicking here today!